If your little one (age 3-8) is independent and ready to start scootering on their own, but you’re not quite ready to send them off on two wheels, this is a great gift! The Y Glider XL is equipped with patented “learn, grow, pro” steering which means the steering can be adjusted to suit your child’s experience. The deck of the scooter is extra-wide with a chunky rear wheel and touch break for safety and stability as they become more brave and practice new skills. If they have a favorite color, you can change the color in seconds. The wheels are durable cast PU with easy-change color inserts. Adjust the height of the handlebar as they grow. 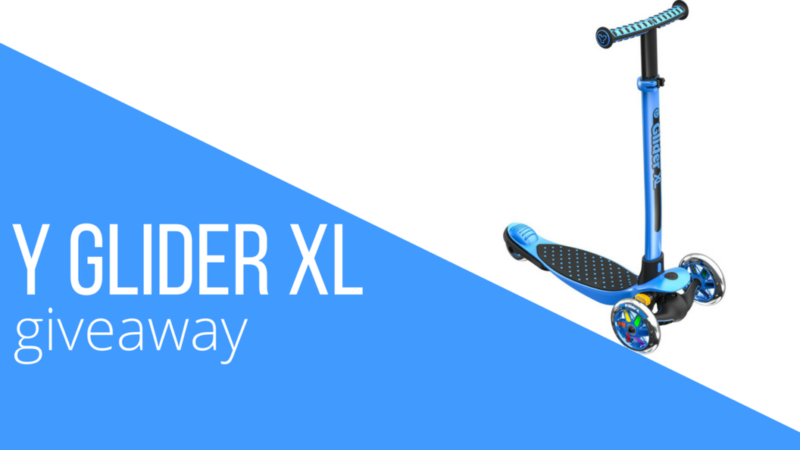 One (1) Southern Savers reader is going to win a Blue Y Glider XL. Fill out the widget below to be entered to win. I’ll choose a winner tomorrow morning! This giveaway is sponsored by YVolution, but all opinions are 100% my own.